MONDAY: The Libra Sun will offer you new insights into matters of the heart, not to mention finance and health. A situation you have no control over may throw you off balance; keep your attention on yourself to move through it most effectively. 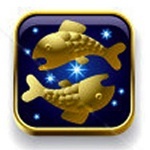 Avoid sharing gossip, as you'll likely be repeating false information under the ethereal Pisces Moon. Your tarot card the Lovers will remind you to appreciate your family and close friends this week, as you acknowledge the support and structure they bring to your life. KEEP IN MIND: Distractions will tempt you off course all day long; if you need to, lock the doors and take the phone off the hook so you can get some work done! TUESDAY: Your energy levels will soar today, enabling you to complete work or personal commitments in record time. When you implement a new system of organization under today's Pisces Moon, you can save yourself hours of time searching for information or documents. Others admire your optimistic outlook, so remember to set a good example. Expect a surprise phone call this evening, from someone you never thought you'd hear from again! KEEP IN MIND: Papers, papers everywhere! Seriously, you've got to figure out a way to manage all the documents you've been gathering, whether they're strewn across your desk or filling up the desktop on your computer screen! WEDNESDAY: You'll share special times with loved ones under the Libra Sun, moving through the day with joy and harmony. Be patient with someone who is afraid to move forward, and trust that the Universe will open a path up for them when the time is right. If you find yourself feeling frustrated, remember you have the ability to make different choices, a great reminder under the Pisces Moon. Light rose incense this evening, as it will add a warm glow to all your relationships and help balance your emotions. KEEP IN MIND: Don't get caught up in a situation that's out of your control today; relax and let Spirit take charge of things. THURSDAY: The Libra Sun will compel you to take a closer look at your feelings to find the answers regarding a relationship struggle. Another's irresponsible behavior could create extra work and could have you putting in some overtime under the Aries full Moon. Don't waste time resenting them, just accept it and do what needs to be done. Your reputation for integrity will come into play when someone confides in you tonight; don't let them down. KEEP IN MIND: Things won't go the way you expect today, but if you accept the situation and deal with it, you can have your way tomorrow! FRIDAY: You may be appalled or shocked at what you hear today, as rumors tend to come at you from every angle. The Libra Sun will remind you to offer clarity, truth and balance in response to these claims, so don't hesitate to speak up. Though you'll be invited out, it may be more productive to spend the evening at home under tonight's Aries Moon, reviewing the changes and progress you've made over the last two months. KEEP IN MIND: Don't take anything you hear at face value today. Instead, store the information in your "We shall see" file and stay tuned. SATURDAY: You can use the visionary powers of the Taurus Moon to settle things down when a family argument breaks out first thing this morning. Things should stabilize by lunchtime, and you can then resume your plans for the day. Your eyes will light up with promise when a close friend presents you with an innovative proposal today. Light a beeswax candle to help you remain neutral when you find yourself in a power struggle between loved ones that does not involve you. KEEP IN MIND: Everyone wants to provoke you today, but take the high road and remain neutral. Otherwise, you'll end up being the one in trouble! SUNDAY: Your conversations will prove very enlightening today, as new insights from others abound under the Taurus Moon. The best way to resolve a troublesome situation is to go within and ask for spiritual direction. You've been struggling with the slowness of the world, but things will begin to move forward in a few days. As they do, they'll affirm the wisdom of universal timing. KEEP IN MIND: Take advantage of the non-moving energy of the day and relax! Don't worry, things will be back up and running again tomorrow!